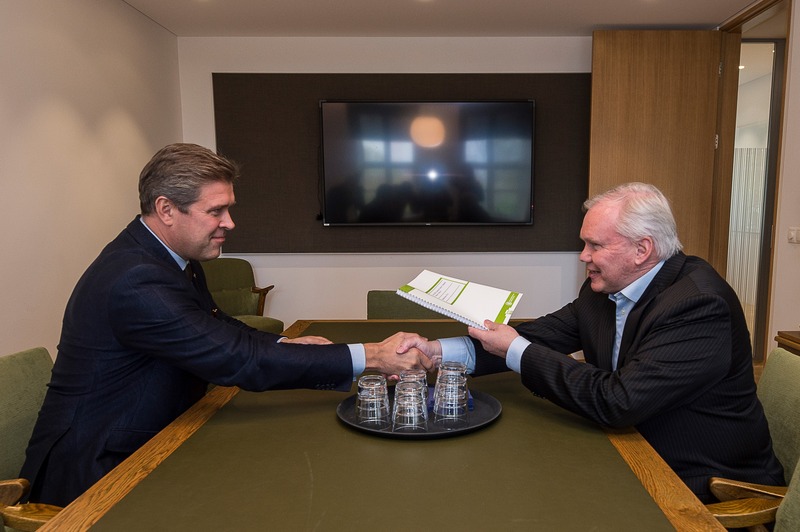 Benediktsson receives the report from Gissurarson. Photo: Haraldur Gudjonsson, Vbl. On 25 September 2018, RNH Academic Director Hannes H. Gissurarsion delivered a report to Finance Minister Bjarni Benediktsson about foreign factors in the 2008 Icelandic bank collapse. It was written under the auspices of the Social Science Research Institute at the University of Iceland and commissioned by the Ministry of Finance and Economic Affairs. The main conclusions are, 1) that the British government invoked an Anti-Terrorism Act needlessly against Iceland, as it could have used softer measures to achieve its stated objective of hindering illegal transfers from the United Kingdom to Iceland; 2) that the British government violated the rules of the European internal market by rescuing all British banks save two, Heritable and KSF (Kaupthing Singer & Friedlander), which were Icelandic-owned; 3) that the United States, through its Federal Reserve Board, came to the assistance of Sweden, Denmark and Norway during the 2008 financial crises, but refused any similar support to Iceland. 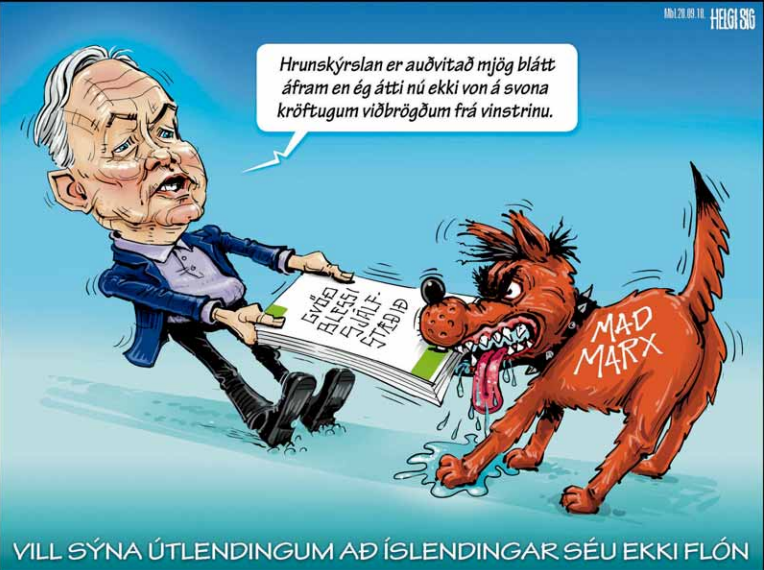 Gissurarson agrees with the conclusion by finance specialists Dr. Asgeir Jonsson and Dr. Hersir Sigurgeirsson in a recent book that in 2008 the assets of the Icelandic banks were probably no worse and no better than assets generally of foreign banks. Gissurarson also gives an account of how assets of the Icelandic banks were captured after the collapse at hefty discounts by well-connected local businessmen in Norway, Finland and Denmark, with the connivance of local authorities. Gissurarson argues that the response of the Icelandic authorities to the bank collapse was sensible and proved, ultimately, successful. By the Emergency Act of 6 October 2008 they managed to calm the general public while limiting the financial obligations of the sovereign Icelandic state. To make deposits priority claims on the estates of banks, as the Icelanders did, might serve as a model for other countries, thus making government guarantees of banks superfluous. According to Gissurarson, two political conclusions may be drawn from the bank collapse: that discretionary power would always be abused, just like the British government did with the Anti-Terrorism Act, and that Iceland has only herself to rely on, as nobody was willing to help her in her hour of need, except the Faroese and Polish governments. Gissurarson’s report is in English, but he also delivered an Icelandic extract and wrote four articles on its content for Morgunbladid, the Icelandic journal of record. In 2017, Gissurarson also wrote a report on lessons for Europe from the Icelandic bank collapse, which was published by the think tank New Direction in Brussels.